Shipley breakfast catering in Houston provides an abundant number of treats for your colleageues, team, classmates, group, family and friends. We deliver to wide variety of places, including hotels, churches, schools, seminars, offices, warehouses, events and more. 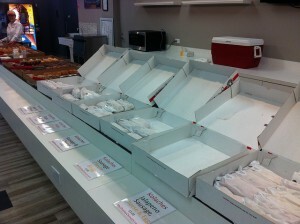 If you have a large business or an upcoming event, you may want to consider Shipley Do-Nuts. The first reason that you may want to choose Shipley’s for breakfast catering in Houston is our affordable catering packages. Our full catering menus have everything that you will need for your special event or team. In addition to our standard variety of donuts and kolaches, our catering menu includes donut holes, kolache poppers, coffee cake, fruit trays and fruit bowls. Party pans are one of our most popular choices for breakfast catering Houston. Party pans include our delicious donut holes and famous kolache poppers. Party pans are ideal for both large events, such as reunions and corporate gathers, and smaller events, such as groups, clubs and classes. They can accommodate large and medium size groups of people. Other things that you will find abundant in our Houston breakfast catering services are fresh cut fruits. Fresh fruits are some of the healthiest items that you can ask for when it comes to pleasing a variety of tastes. Shipley Do-Nuts breakfast catering in Houston is easy, because of our online ordering system. Got questions? Then call us at (713) 589-3292 to speak with someone who can help you. Another way that you can order catering services is by completing an online form.